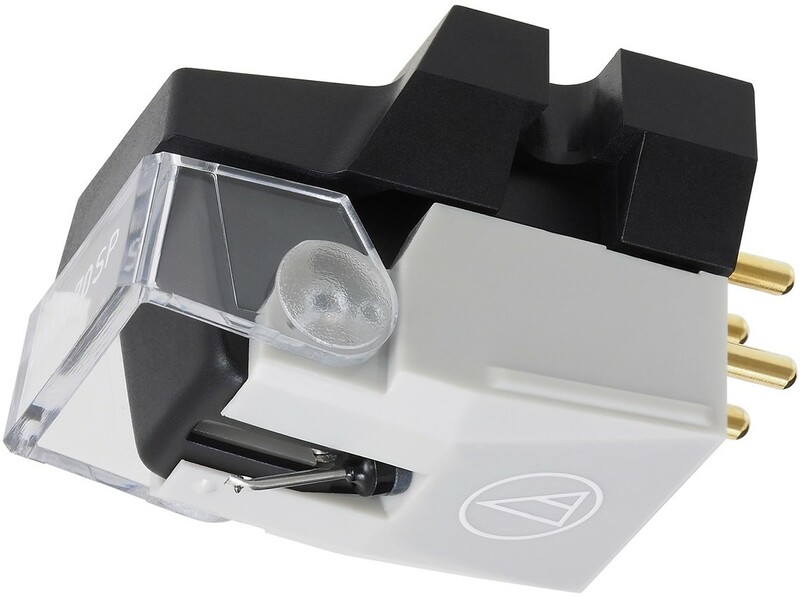 Audio Technica VM670SP is a dedicated dual Moving Magnet Mono Cartridge for 78RPM records thanks to the large curvature radius at the stylus tip. The curvature radius is 3 mil and suitable for playing 78 RPM records from a wide variety of eras. VM670SP uses two magnets which are arranged in the shape of a V replicating a cutter head, instead of a single large magnet. These magnets are positioned to match the positions of the left and right channels precisely in the stereo groove walls. The result of this design is superb tracking, stunning channel separation and extended frequency response. Also like the 500 and 700 series, this cartridge uses para-toroidal coils to improve the generating efficiency and to offer superb linearity, since leakage of magnetic flux in this continuous and unitised magnetic circuit is low. The use of laminated cores also helped in optimising the permeability of the cores. VM670SP has a specialised 600 series mono body with internal wiring dedicated to monaural sound. It uses the same internationally patented VM dual magnet design as the 500 and 700 series replicating a cutter head structure.